The trip is a mixture of outdoor wilderness and island relaxation. You head to Selous game reserve for the first four days. Selous game reserve is home all different sorts of wild animals and seeing them in their natural habitat is an experience like non seen before. For the remainder of your trip you will be on the Island or zanzibar, white sandy beaches, warm, clear water and a cultural experience. day 1: Dar es Salaam – Selous Game Reserve In the morning you depart from the airport of Dar es Salaam. In a small plane you will fly to Selous, one of the biggest wildlife sanctuaries in the world. In Selous an estimated number of 750000 mammals living including the largest number of elephants. On arrival you will be brought to the camp, beautiful located on the shores of the Rufiji River from where you can hear the hippos snorring in the water. 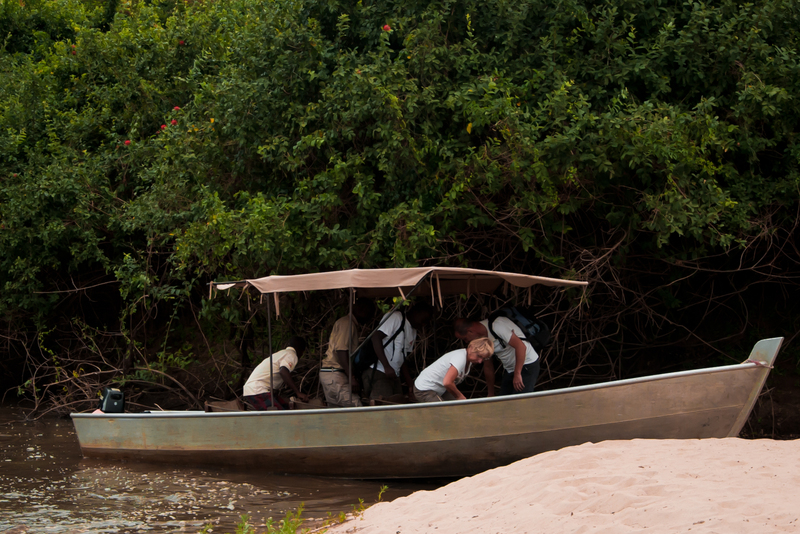 In the afternoon we make a boat safari on the Rufiji river which is home of many hippos and crocedilles. The Rufiji river is one of the longest rivers of Tanzania and important for the area and Selous Game Reserve. In the riverbanks many different birdspecies living, like kingfishers, herons, fish eagles and golden weavers. When the sun is setting you will experience the rich colour of red sunlight before we get back to the camp. Enjoy the delicious meal with a drink and listen to the sounds of the hippos in the water. Day 2: Selous Game Reserve We have a day full of safari in planning. Selous Game Reserve is a magnicificant reserve in Tanzania and you will hardly see other visitors in the reserve. In the savannah landscape with acacia trees, bushes and palmtrees you will probably see some elephants, giraffes, zebras, antelopes, baboon, crocedilles and we hopefully some lions and wild dogs. 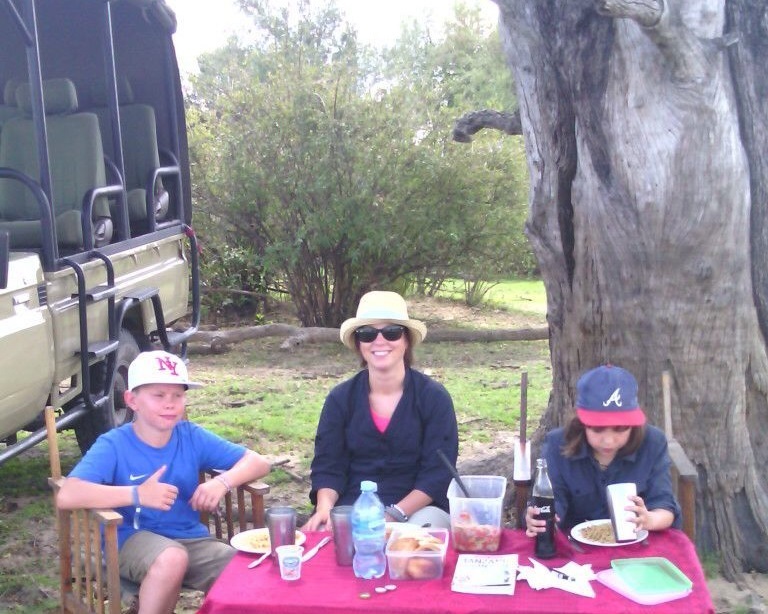 On our day trip in Selous we will lunch on a nice spot which makes it easier to reach further in the Reserve. After our safari we drive back to our camp where you can enjoy the evening. Day 3: Selous Game Reserve Early in the morning we get up for a unique experience in the wild. Accompanied by a ranger we make a safari walking into the bush. You will notice wildlife outside a vehicle is a totally different experience and we hope to spot some giraffes, elephants , zebras and gazelles. After this early walk we get back to camp where you can relax the rest of the day, plan another safari or boat safari in the afternoon (optional) or make a cultural tour to the village of Mloka. Day 4-5: Selous – Zanzibar (stonetown) We leave by plane and within a few minutes you have an amazing overview over the Selous Game Reserve, its landscape and the Rufiji river. Maybe you will even spot some elpehants and giraffes from the air! In one hour you will be on Zanzibar where your first hotel is near the center of Stone Town. Zanzibar island is located only 40 km from the mainland from Tanzania and the perfect spot to continue the trip in Tanzania. Stonetown has a labyrinth of narrow strees, churches, museums like the old fort and house of wonders, shops and nice restaurants where you can walk around for hours. You definately get lost and discover new streets with other shops. Day 4 and 5 you have got the time yourself to discover the old town, make a boattrip for snorkeling or diving. The island is for era’s known as the spice island and spice tour cannot be missed on this trip. Contact us for more information about activities in Stonetown and on Zanzibar. Day 6-7: Zanzibar (East coast) The name Zanzibar sound tropical and today and tomorrow you will experience why. The last nights of this trip you will spent on the east Coast of Zanzibar. Day 8: Zanzibar – Dar es Salaam coast of the island: White sand beaches, clear blue water are perfect end for this trip. Enjoy the beach relaxing with a cocktail and reading a book or get some activity by learning how to kitesurf (depending on the season) or make excursions by boat to snorkel and dive. on the east coast of Zanzibar you will stay on bed and breakfast base. This trip ends today with the transfer to the airport of Zanzibar and the flight to Dar es Salaam.